The day has finally come, and for Canucks/Comets fans, it promises to be an exciting one. 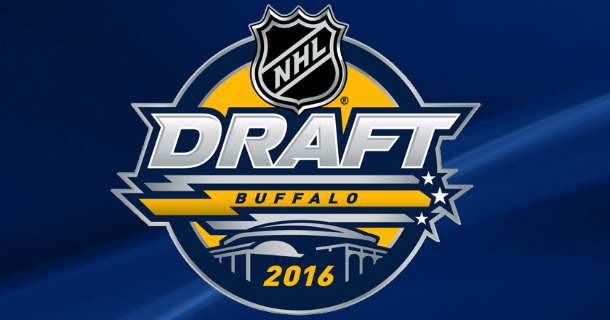 The 2016 NHL Draft kicks off tonight down the road at the First Niagara Center in Buffalo, NY. The first round of the draft takes place tonight, starting at 7 p.m. You can watch all the action live on NBC Sports Network, or you can follow along live at @UticaComets, @VanCanucks, or with the #CanucksDraft hashtags on Twitter. Amidst non-stop talk about the possibility of the Canucks trading for superstar defenseman P.K. Subban, the brother of Comets' defenseman Jordan Subban, Vancouver currently holds the fifth overall pick. The Canucks have seen quite a bit of success when drafting in the Top 5 of the NHL Draft with previous selections including the Sedin brothers in 1999, Trevor Linden in 1988, and Petr Nedved in 1990. In addition to the Top 5 pick, the Canucks own five other selections.